Jim Quinn specializes in high stakes commercial disputes. He has practiced in all areas of complex litigation and alternative dispute resolution, with particular emphasis on antitrust, securities, false advertising, sports, entertainment, patent, and related complex intellectual property litigation. Known for his judgment, thorough preparation, and mastery of detail, Mr. Quinn is able to take command of the courtroom with penetrating cross-examination of witnesses and logically compelling arguments. Clients call upon him in matters that are high-profile, high-stakes, and often international in scope. Mr. Quinn’s most recent notable engagements include obtaining for CBS the dismissal with prejudice of a landmark putative class action in which current and former NCAA Division I college football and basketball players alleged that CBS, along with a host of college athletic conferences, other networks, and licensors, profited from the broadcast and use of those Student-Athletes’ names, likenesses, and images without permission; winning for CBS Corporation the dismissal, affirmed on appeal, of a putative securities fraud class action relating to a $14 billion impairment; obtaining a complete dismissal for ESPN, Inc. and certain Walt Disney Co. companies in a $130 million suit brought by Echostar concerning alleged contract breaches relating to rights to ESPN and Disney’s high-definition television networks; securing a complete dismissal for CBS Corporation in a $70 million breach of contract, fraud, and breach of fiduciary duty suit filed by its former anchorman and correspondent Dan Rather stemming from his departure from the network in 2006; on behalf of ExxonMobil, defeating class certification of a purported national class alleging that major petroleum companies conspired to restrict the supply of gasoline; and securing summary judgment for ESPN, Inc. in litigation against boxing promoter Don King who alleged defamation and false light invasion of privacy and sought $2.5 billion in damages. In another recent and high-profile matter, he served as lead trial counsel for ExxonMobil during a three-month trial in New Hampshire state court of claims brought by the State of New Hampshire relating to the use of the chemical MTBE as a gasoline additive. Earlier, he served as co-lead counsel for Vivendi in In re Vivendi Universal, S.A. Securities Litigation, the largest shareholder class action ever to go to trial. 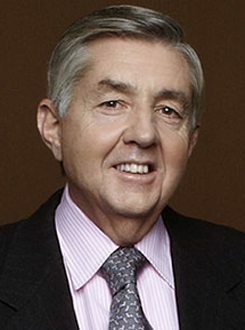 Just within the past year, Mr. Quinn succeeded in winning dismissal of $100 million in shareholder claims against Vivendi; convinced a federal court in California to deny class certification in a $500 million lawsuit filed against CBS regarding college athlete photos being sold on the internet, ultimately winning dismissal of the entire case on the merits; obtained dismissal of a series of lawsuits filed against Marvel Entertainment, Inc. potentially worth billions of dollars regarding many of the most iconic comic book characters owned by Marvel, in which the courts ordered the plaintiffs to pay almost a half million dollars in legal fees to Marvel; and represented Powder Corp., a major operator of ski resorts, in a high-profile dispute over the ownership of the Park City Mountain Ski Resort. Throughout the past decade and beyond, Mr. Quinn has established himself as a leading commercial litigator with a string of impressive wins, including a $417 million verdict for ExxonMobil (Exxon Mobil v. SABIC) which was among the largest verdicts in the United States in 2003 and remains the largest in a commercial case in Delaware’s history; a complete defense verdict for Procter & Gamble Co. on an $80 million false advertising claim brought by the Colgate-Palmolive Co., relating to home teeth-whitening products; and representation of the Arthur Andersen Worldwide Member Firms in the largest International Chamber of Commerce arbitration in history, which involved nearly 300 parties and almost $15 billion in claims. During this time, Mr. Quinn also scored significant wins for UnitedHealth Group, Johnson & Johnson, and Disney, among others. Additionally, Mr. Quinn has earned a reputation with his clients for his unmatched experience in sports and entertainment litigation. He is the most successful and influential litigator of sports antitrust cases in the quarter-century that these cases have been played out in the national arena. He is known for his strategic personal assessment of each client and his keen execution of the facts in the courtroom. Mr. Quinn has counseled and represented players associations in Major League Baseball, the National Football League, the National Basketball Association, the National Hockey League and Major League Soccer. Mr. Quinn served as the lead counsel for the NFL players in their successful antitrust challenge to the player restrictions in the League (McNeil v. NFL). In this three month jury trial, Mr. Quinn ensured that a fair jury was chosen for his clients, and his winning strategy secured for his clients a multi-million dollar treble damage verdict as well as the right to free agency. He is able to make juries understand complicated cases by presenting his client’s points in a readily comprehensible and persuasive manner. The New York Times labeled Mr. Quinn’s participation at trial as “instrumental in helping change the face of major professional sports.” In 2016, Mr. Quinn was named as one of 17 “Elite” Power Players for sports law by Sports Business Journal. Among many honors and awards, Mr. Quinn was selected in 1993 and 2004 by The National Law Journal as one of the ten top trial lawyers in the United States in its annual feature, “Winning: Successful Strategies From 10 of the Nation’s Top Litigators” (only a handful of lawyers have ever been selected twice for this prestigious award). Chambers USA has ranked Mr. Quinn as a leader in nationwide sports law and New York commercial litigation since 2005, and as a top U.S. trial attorney since 2010. In 2013, he received the Chambers USA “Award for Excellence” in the category of “Litigation: Business Trial Lawyer” after being shortlisted for the award since 2009; he subsequently has been named to the shortlist for the inaugural, 2014 edition of “The Chambers 100,” a list of the top 100 business lawyers in the United States. Additionally, he has been ranked as a leading trial lawyer by Chambers Global in 2004/2005 and 2009-2016, with client commentators describing him as “an outstanding lawyer” and “one of the greatest trial lawyers in the country.” Legal 500 also recognized Mr. Quinn as a Leading Trial Lawyer since 2011, and separately in the areas of Appellate, Commercial Litigation, Sport, and Antitrust, with commentators calling him a “legendary litigator.” He was also listed as highly recommended in PLC Which Lawyer? Yearbook 2006-2009 for Dispute Resolution, and was included in Euromoney’s 2004 Guide to the World’s Leading Experts In Commercial Arbitration, and The International Who’s Who of Commercial Litigators 2006, 2008, 2009, and 2013. Mr. Quinn has been selected by his peers for inclusion in the 2009-2016 editions of The Best Lawyers in America in a number of specialty areas, including Bet-the-Company Litigation, Commercial Litigation, International Arbitration, Litigation – Antitrust, Litigation – IP, Litigation – Securities, and Sports Law. Benchmark Litigation recognized Mr. Quinn as one of its Top 100 Trial Lawyers in its 2016 and 2017 editions, and has also recognized him as a “Local Litigation Star” and a national “Litigation Star” since 2010, including in the areas of General Commercial Litigation and Securities Litigation, among others. In 2013, Mr. Quinn was recognized as a “Client Service All-Star” in BTI Consulting Group’s annual survey of corporate counsel. In 2015, Mr. Quinn was again elected by vote of his peers as one of the Top 100 Lawyers in the Metro New York area by Super Lawyers. Mr. Quinn is a Fellow of the International Academy of Trial Lawyers and the American College of Trial Lawyers and a member of the International Society of Barristers. He is also a Fellow of The New York Bar Foundation. He has chaired a variety of committees of both The American Bar Association and The Bar Association of The City of New York. He is a member of the Advisory Board of The National Judicial College and the Panel of Distinguished Neutrals of the Center for Public Resources.